Are you suffering from nearsightedness and experiencing eyestrain, headaches, and fatigue? Perhaps your child or a family member is, but doesn’t know it and has not been properly diagnosed. Vision problems can often be misdiagnosed as other serious wellness issues such as learning disorders in school-age children. Our caring ophthalmologist wants to help you experience optimized eyesight wellness. Have You Been Diagnosed By Our Clinton Ophthalmologist With Nearsightedness? Nearsightedness or myopia is a common refractive error that occurs in the eye that has risen in the US over recent years. Our ophthalmologist and many ophthalmology researchers think this is largely due to the increase in screen time the US population exposes themselves to. There may also be genetic predispositions involved that exacerbate the occurrence of this eye health concern. Not sure if you are experiencing myopia? Some of the common signs and symptoms that you may include difficulty reading road signs and seeing distant objects clearly. You will however likely be able to see your computer well or other close-up tasks. Headaches, squinting and eye strain are very common if you are experiencing nearsightedness. Before you jump to conclusions that your headaches are due to something else, if you are experiencing a pattern that involves the eye symptoms, we encourage you to make an appointment with our staff to be evaluated by our Clinton ophthalmologist. Myopia typically begins in childhood but can affect people of all ages. When the eyeball is too long relative to focusing the power of the lens and cornea of the eye, myopia occurs. It is also possible the cornea or lens of the eye may be too curved for the length of the eyeball. You may be thinking, “but I already wear contact lenses or glasses and I am still squinting.” If this is the case, your prescription for either your glasses or contact lenses may not be strong enough and it is time for an evaluation. Because eye strain can lead to fatigue and attention concerns, see our doctor for a visit as soon as you begin experiencing these signs and symptoms. In some cases, refractive surgery may be ideal to help correct myopia or in other cases, glasses or contact lenses may be ideal. Our experienced Fayetteville ophthalmologist will see you for a visit to evaluate the degree of myopia you experience. There are two types of surgery that you may be a candidate for- PRK or LASIK. PRK works by removing a layer of corneal tissue to flatten the cornea allowing light rays to focus more accurately on the retina. With LASIK surgery, a thin flap is created on the cornea, the tissue is removed from the cornea and then the flap is relocated. 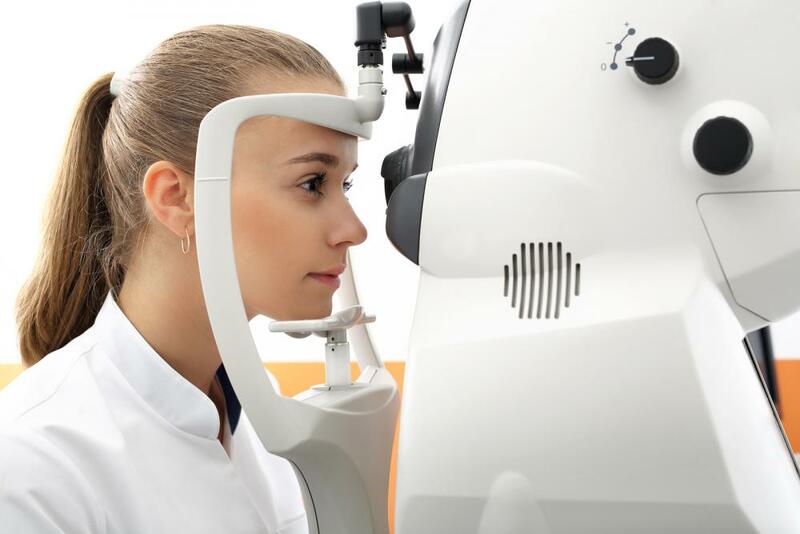 Wondering if you are experiencing nearsightedness or are a candidate for an eye surgery now that you have learned more? We look forward to meeting you on a visit soon. Please call us at (910) 485-3937.